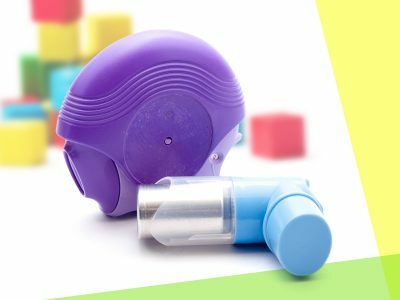 The Big Idea: This workshop will help providers learn what asthma is and how to help manage it in a childcare setting. Print out the “Managing Asthma in a Childcare Setting” article and a blank Asthma Profile for each participant. Provide some highlighters and pens or pencils as well. Let participants know that managing children’s asthma takes a team, and childcare providers are a key part of that team. Tell them that you’ll be providing some resources that can help remind them about how to manage children’s asthma and prevent attacks. Some of the resources can be shared with parents or children, and some can be posted in the childcare setting where everyone can see. Read the article together. Encourage participants to jot down any questions or ideas for their own settings as you read. Point out the Asthma Profile as it comes up in the article. After reading, share any questions and/or ideas. Direct participants to the Sesame Street asthma videos and other resources (such as an action plan poster, printables for children, and articles for parents). Encourage them to share the Asthma Profile or any other resources with parents, children, and co-workers who might find them helpful. You might even wish to ask participants to share ideas about using these resources in their own settings: Where could they hang the poster? When might kids use the printables? Might they host a parent night to hand out resources, hold a trigger “show and tell,” etc. ?